aww soo cute do u know where i can find some pups so i can get one for my mom for he birthady? ...these are my dogs. they are boys. 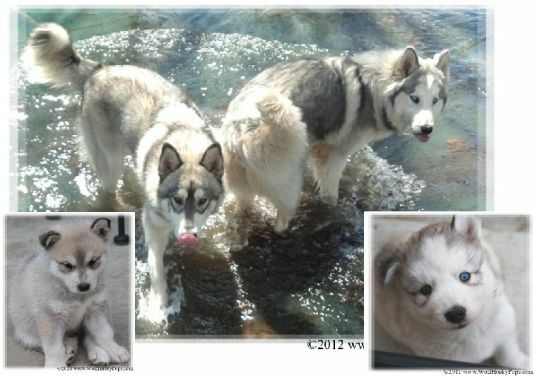 on the left, logan, and on the right is his brother Thor. my dad bought them in California. this website is a lie. I am a dog groomer and i see a lot of dogs, including huskys. Your babies are absolutely breath takingly georgious. I hope you enjoy many wonderful years with them. heyy im looking for a free puppy for my grandma for her birthday but I have no money ?